How much is Liliane Bettencourt Worth? Liliane Bettencourt net worth: Liliane Bettencourt was a Paris-born businesswoman, philanthropist, heiress, and socialite who had a net worth of $46 billion dollars at the time of her death. At the time of her death, her $46 billion fortune made her the richest woman on the planet, the richest person in France and the 11th richest in the world person overall. After adjusting for inflation, Liliane was the 6th richest woman in history. The five women richer than Liliane are all from centuries ago. So she really was the richest woman in modern history. 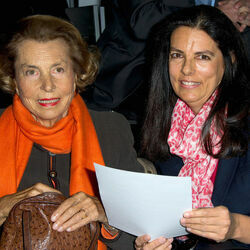 At the end of her life, Liliane owned 185 million shares of L'Oreal, roughly 33% of the company. Liliane also owned 30% of Nestle. She was the largest individual shareholder of both companies. 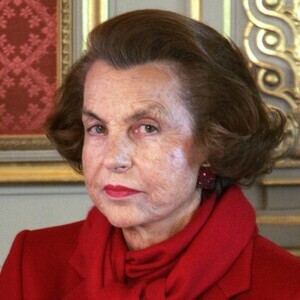 Liliane Bettencourt co-founded the Bettencourt Schueller Foundation with her husband and daughter to support scientific research, humanitarian projects, and the arts. 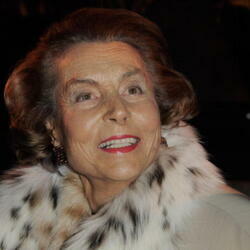 Liliane Bettencourt's net worth was largely accumulated through her interest in the company L'Oreal, which is the largest cosmetics manufacturer and brand in the world. Bettencourt was born in 1922 to Eugene Schuller, the founder of L'Oreal. She began working at the company when she was 15, mixing products and labeling bottles of shampoo as an apprentice. In 1950 she married French politician Andre Bettencourt. She held a seat on the board of directors for the company until 1995 and was one of the largest shareholders up until her death. Bettencourt was also known for her philanthropic works such as her humanitarian foundation Bettencourt Schueller Foundation which has bestowed hundreds of millions of dollars to various humanitarian causes. Bettencourt was known for her intensely private life. She rarely granted interviews and remained largely secluded from the public eye. She was one of the most high profile victims of famous embezzler and financial Ponzi scheme perpetrator Bernie Madoff, with whom she had invested €22 million. Net Worth details: Bettencourt inherited her stake in the world's largest cosmetics company, L'Oreal, from her father who founded the company. The Bettencourt Meyers family owns just under 33 percent of the share capital of L'Oreal, which makes up more than 185 million shares. Liliane's daughter Francoise and her two grandsons were named guardians of the family fortune in 2011 after a court dispute involving Bettencourt giving gifts to friends including Francois-Marie Banier. Liliane Bettencourt died on September 21, 2017 just one month shy of her 95th birthday.